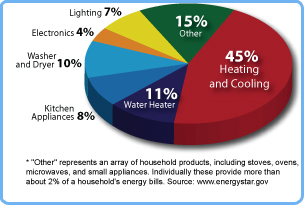 MSSI believes that before we can help you transition into your own energy production, we have an obligation to make sure that you are as energy efficient as possible which is why we perform home and business energy enhancement audits. With several audit options to consider, all are designed to identify, throughout your home or business, primary sources that are unhealthy, inefficient or potentially damaging to your property and you. A written report, with recommendations, of over 20 areas in and around your home or business with potential problems and solutions outlined for your benefit. 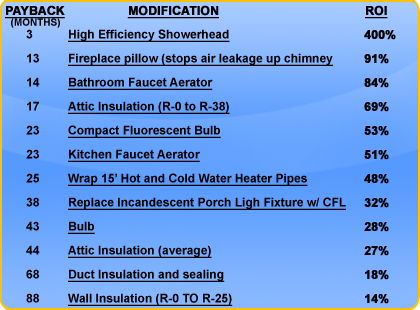 (Many of these recommendations are inexpensive and easy to perform yourself with immediate energy savings to follow). This inspection usually takes about 20-30 min. and requires access to roof, attic, home/business levels and basement. Our second audit, which takes 2 hours and has a cost of $350.00 - $495.00 (depending on square footage of location) was designed specifically for homes or businesses that are looking for specific areas of deficiencies (lack of humidity in winter and too much humidity in summer, poor heating or cooling performance, locations where appliances are 5 years or older). Our professional energy enhancement team will use the latest technology to determine specific areas of concern and will follow through with a comprehensive, 50 point report with specific recommendations on how to become more energy efficient along with advice on which projects to tackle first. This $350.00 cost is deducted from the cost of your solar electric system should we both determine that solar electric integration and production are right for you.